By clicking "Submit Testimonial" you agree to the following terms and conditions: You do not have to submit your story to eMachineShop, but if you choose to, you are consenting to give eMachineShop the irrevocable unlimited right to copy, alter, prepare derivative works of, distribute, display, use for marketing, and publish your story in any manner without any further consent, notice and/or compensation to you or any third parties. By submitting your story to eMachineShop, you represent and warrant that the submission is accurate to your best knowledge, not confidential, not in violation of any contractual restrictions or other third party rights, and is your original work. 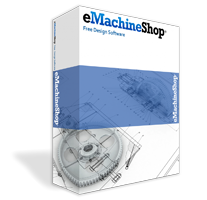 eMachineShop reserves the right to grammatically edit or remove user content submitted to this website. eMachineShop will not be liable to you in relation to the contents of, or use of, or otherwise in connection with, this website. By submitting your story, you are releasing and waiving and agreeing to hold harmless eMachineShop and its agents from any claims, damages, or liabilities arising from the use of your story. You also agree not to bring any claims against the released parties at any time in the future. Finally, you are agreeing to waive any right to royalties or other payment for the use of your story and you waive the right to inspect or approve the released parties? use of your story. By using this website, you agree that the exclusions and limitations of liability set out above are reasonable. If you do not think they are reasonable, you must not use this website to submit a story.